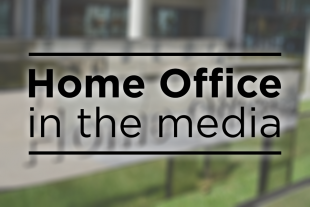 Today's Home Office stories include a National Crime Agency report on 'county lines' and the latest on the Jack Shepherd extradition proceedings. Widespread print coverage is given to a National Crime Agency report that claims as many as 10,000 British teenagers are involved in county lines gangs. The Telegraph, Times, FT, Guardian, Star, Mirror, Mail and Sun carry in-depth coverage of the analysis, which reports up to 2,000 drug delivery routes throughout the country can each make profits of up to £800,000 a year – equivalent to a £3.6 billion industry. Most papers report that this marks a tripling in the number of routes - compared with the 720 that were reported a year ago. Each line is reported to make up to £5,000-a-day, the Mail adds, citing the NCA’s description of the problem as a “significant national threat”. The greatest number of county lines – where drugs are smuggled from major cities to regional towns – were found to originate from London, Birmingham and Liverpool. Your chances of being a victim of crime remain extremely low. But we know that violent crime has increased and we are working to stop it. There is widespread coverage that Jack Shepherd has declined a fast-track extradition from Georgia, despite a last-minute court hearing. The Daily Mirror reports that Georgian authorities tried to speed up his extradition, but a judge allowed Shepherd to stay for three more months while the case against him is prepared. The Telegraph reports that Shepherd has chosen to face the standard extradition procedure, meaning it could take up to nine months to return him to the UK. The Telegraph reports that Shepherd’s lawyer believes that his human rights “may have been breached”, and that they do not believe he is a criminal as “the speedboat incident is not even a crime” in Georgia. The Daily Mail says that Shepherd has claimed he fears he would be at risk if sent back to the UK. The paper says that Shepherd’s legal team believe that there would be a “serious chance he will be tortured and treated cruelly back in the UK”. Further press queries on this case can be directed to the Crown Prosecution Service.